The Shirelles were an American girl group notable for their rhythm and blues, doo-wop and soul music and gaining popularity in the early 1960s. They consisted of schoolmates Shirley Owens (later Shirley Alston Reeves), Doris Coley (later Doris Kenner-Jackson), Addie "Micki" Harris (later Addie Harris McFadden), and Beverly Lee. An updated/… version of the Shirelles' first song, "I Met Him on a Sunday" entitled "I Met Him On A Sunday '66"
The group that later became the Shirelles was formed in 1957 by four teenage girls from Passaic, New Jersey, under the name the Poquellos (or Pequellos). The founding members, Shirley Owens (born June 10, 1941), Doris Coley (August 2, 1941 – February 4, 2000), Addie "Micki" Harris (January 22, 1940, Passaic, New Jersey – June 10, 1982, Atlanta, Georgia), and Beverly Lee (born August 3, 1941), entered a talent show at Passaic High School at the suggestion of a teacher. After hearing them sing "I Met Him on a Sunday", a song they had written for the show, their classmate Mary Jane Greenberg convinced the reluctant Poquellos to meet with her mother, Florence, the owner of Tiara Records. After several months of avoiding Greenberg and telling her that they were not interested in singing professionally, they were booked to Tiara. By the end of the year they had changed their name to the Shirelles, a combination of the first syllable of Owens' given name and -el, reminiscent of then-popular group the Chantels, after briefly using the name the Honeytunes. That year, they released their first song, "I Met Him on a Sunday"; after local success, it was licensed to Decca Records for national broadcast and charted at #50. The song was influenced by doo-wop, but infused with pop melodies. 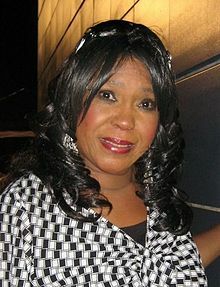 Tiara Records, along with the Shirelles' contract, was sold to Decca Records in 1959 for $4,000; Greenberg stayed as the manager, securing performances for the group, including one at the Howard Theatre in Washington D.C. After two singles did poorly, including their first release—with Coley as lead vocalist—of "Dedicated to the One I Love", a cover of the "5" Royales song of the same name, Decca returned them to Greenberg and gave up on them, considering them a one-hit act On Greenberg's new label, Scepter Records, they rereleased "Dedicated to the One I Love" as a single, which peaked at #89; Wayne Wadhams, David Nathan, and Susan Lindsay in Inside the Hits attribute the low rating to poor distribution. In order to better promote the group, Greenberg asked songwriter Luther Dixon, who had previously worked with Perry Como, Nat King Cole, and Pat Boone and co-written the 1959 hit "16 Candles", to write for and produce songs for them. Dixon accepted. Their first single produced with Dixon, "Tonight's the Night", was released in 1960 and peaked at #39. The success of "Tonight's the Night" led to the girls being booked to perform with several major artists, such as Etta Jamesand Little Richard, and facilitated Scepter's move to a larger office. It was followed by "Will You Love Me Tomorrow", written by husband-wife songwriting team Gerry Goffin and Carole King; the song went on to become the first Billboard number-one hit by an African-American girl group, possibly the first by any girl group. "Tonight's the Night" was later used as the title song for the 1961 album Tonight's the Night, which also included "Will You Love Me Tomorrow" and "Dedicated to the One I Love". After the success of their singles, the Shirelles became frequent guests of Murray the K, who hosted them on his "All Star Rock Shows" on the New York radio station WINS. During this same period they reissued "Dedicated to the One I Love", which peaked at #3, followed by "Mama Said", then "Baby It's You", written by Burt Bacharach, Luther Dixon, and Mack David, "Soldier Boy", and "Boys", with saxophonist King Curtis. In 1963 Dixon left Scepter, which presaged a tailing-off of the number of the Shirelles' singles to chart. However, they carried on performing and recording. Dionne Warwick replaced Owens and Coley, who took leave to marry their fiancés, in concerts and the group continued to record material. That year, their song "Foolish Little Girl" reached the pop/R&B Top 10, and they had a cameo in the film It's a Mad, Mad, Mad, Mad World. However, later in 1963 they learned that the trust, holding their royalties, that they were supposed to receive from Scepter on their 21st birthdays, did not exist. In response, they left the label and later filed a breach of contract suit against the company. Scepter met this with a countersuit for quitting; both suits were withdrawn in 1965, after an agreement was reached. Knowing that Scepter had lied about the trust disappointed the Shirelles, who felt deceived. In a 1981 interview with Bruce Pollock, Owens said that Greenberg had put on a "mother routine", which the girls had "fall[en] for … completely". Owens left the group in 1975. In later years, the Shirelles declined in popularity due in part to pressure from the British Invasion and the heavy competition from other girl groups, including the Chiffons, the Supremes, the Ronettes, Martha & the Vandellas, and the Crystals. During this period, Warwick often replaced Coley due to the latter's family commitments. The Shirelles were still bound to Scepter and thus unable to record for another company until the end of their contract in 1966. Their last single to chart was 1967's "Last Minute Miracle", which peaked at #99. After the commercial failure of their most recent releases, Coley left the group in 1968 to attend to her family. The remaining three Shirelles recorded songs for several labels, including Bell Records, RCA, and United Artists until 1971. Afterwards, they toured singing their older songs, and participated in the filming of the 1973 documentary Let the Good Times Roll, recording two songs for it. Coley returned as lead singer in 1975, replacing Owens, who left that year to pursue a solo career. In 1982 Harris died of a heart attack in the Hyatt Regency after two performances in Atlanta, Georgia, with the group. The following year, the remaining three original members performed "Will You Love Me Tomorrow" with Warwick on her album How Many Times Can We Say Goodbye. Today, the original members tour in different, separate, groups, although the trademark to the Shirelles name was eventually acquired by Lee. Shirley Owens performed on the Doo Wop 51 PBS special in 2000, and continues to tour under the name 'Shirley Alston Reeves and her Shirelles'. Lee currently tours with new members, billed as "The Shirelles". Doris Coley died in Sacramento, California, on February 4, 2000, of breast cancer.Adde "Micki" Harris died on June 10, 1982 of a heart attack.